Sound staging is impressive, and it is superb in lifting vocals - particularly female vocals - from the background music. The construction of this cable is in a classic 4-wire braid using 20 awg dead-soft solid core wire. Each 20 awg strand is highly polished and inserted in a close-fitting transparent teflon tube, before being braided. Two 20 awg wires are for the signal path and two for the return path, giving the cable a total gauge of close to 16 awg. My conservative recommendation is that they would be best suited for amplifiers up to around 100 watts into 8 Ohm speakers. 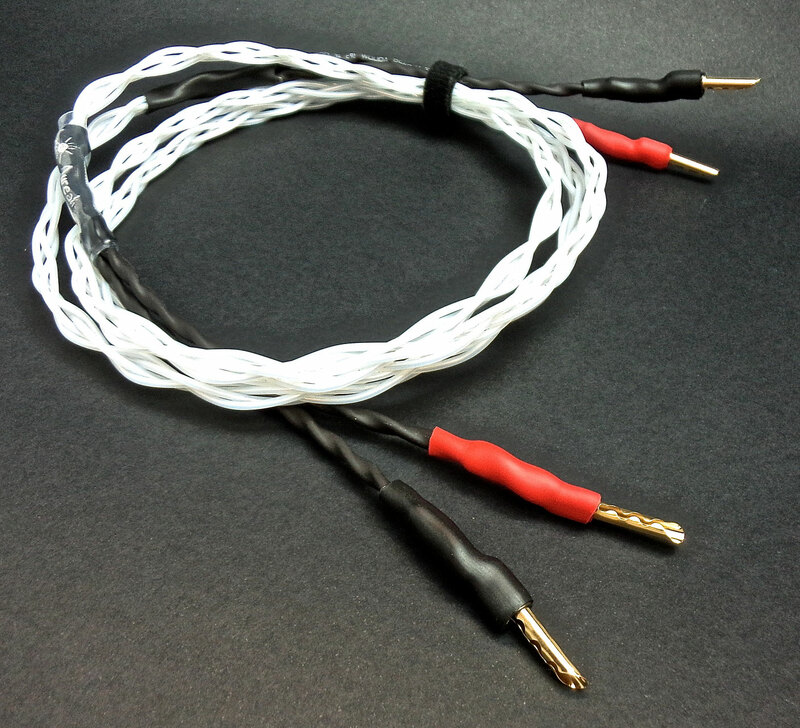 But that is for absolute peak performance and provided that your speakers don't have a big impedance dip in the lower frequency range these cables should perform well with more powerful amplifiers. Please note that these cables can be constructed for up to 4 metre runs, but availability is determined by the amount of this silver I am able to import in Australia. Please contact me for further information. Choose between gold-plated Swiss multi-contact banana plugs or gold-plated copper spades. If you need a mix of spades and bananas please contact.